Just awesome! 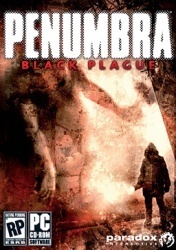 I thought the ending to Black Plague was a bit too unsatisfying. How about a title that's not horribly boring? I'd be happier, but I'm still on the first one. I've been too busy to play. I haven't even gotten to the really scary parts yet, still on the wolves patrolling the tunnels. When I get to the really scary parts, then I'll stop playing because I am a total wuss. Maybe you should try something outside the horror genre?